Over the last few years Kale has become the rockstar of the veggie world: high phytonutrient content (part of the dark leafy green brassica broccoli family), popular (can be grown almost everywhere so can be found in most farmers markets), sublime (low in calories high in fiber), and flexible (juice it, chop it into a salad, sautee it, dry or bake it into chips). Officially it is a form of cabbage and probably looks more like the original wild form of cabbage than commercially grown cabbage looks today. It grows large elongated emerald green and/or purple leaves on a thick tall stalk. It is part of the family of broccoli, cauliflower, collard greens, and brussels sprouts. Until the end of the Middle Ages, kale was one of the most common green vegetables in all of Europe. Kale is known nutritionally to be high in vitamins C and K, as well as betacarotene and calcium. Kale is a source of two carotenoids, lutein and zeaxanthin. It is also believed to be support the body’s detoxification processes. 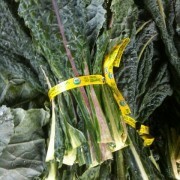 Dino Kale (also known as Lacinato and Tuscan Kale): Yes, originated in Tuscany. This is the kale with the the deep blue-green colored, long tall leaves that have an “embossed” texture. The name Dino is linked to the bumpy texture that someone thought looked like dinosaur skin! 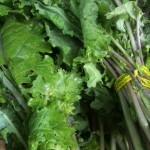 Curly Kale: Bright green, the leaves of this kale is crazy curled and ruffled. Russian Red: Green flat, fancy Oak-shaped leaves with purple stem. What’s the difference? As far as we know it’s mostly texture. Some like the long Lacinato leaves and others like the frizzled curly leaves. 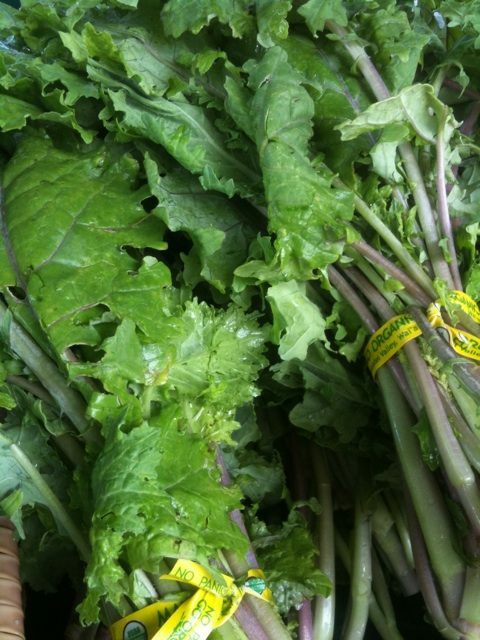 – Wash kale leaves very well before prepping, discarding any bruised or too wilty leaves, cut bottom of stems off. 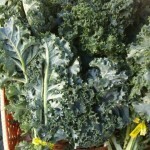 – Raw kale can sometimes be hard on some folks’ digestive system (can cause bloating, gas, other GI issues). 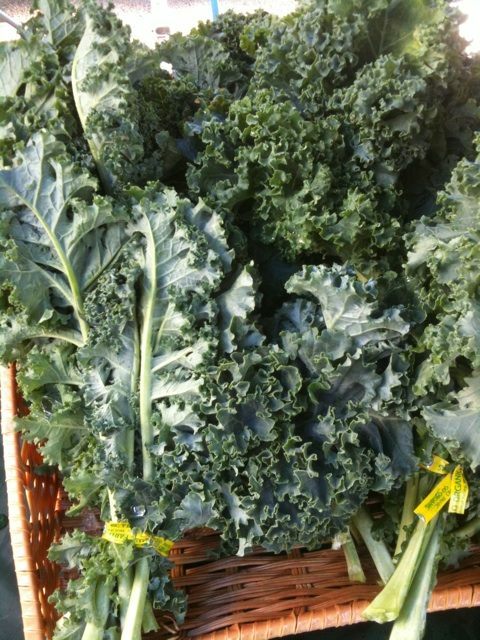 It also contains a compound that can suppress thyroid function in some, so be aware if it affects you this way – you might want to limit your intake to raw kale. – Some people cut out the long center rib of the leaf. Select kale with firm, unwilted, deeply colored leaves. Store kale, unwashed, in an airtight bag in the veggie bin (protected from getting overchilled) the refrigerator up to 5 days. During World War II, a victory garden movement was started by a campaign called Dig for Victory. One of the main vegetables citizens were encouraged to plant and grow was kale because it was easy to grow and also provided valuable nutrients to supplement the rationed wartime diet.